Everyone I know wants to become a millionaire. The fact is, though, that almost no one will actually achieve that desire because they lack what is most needed: grit. Do you have what it takes to become a millionaire? This is really only the half of it, though. Some synonyms of grit include words like fortitude, toughness, resolve, determination, tenacity, perseverance, and endurance. Grit is a critical trait you must develop if you truly desire to become a millionaire. 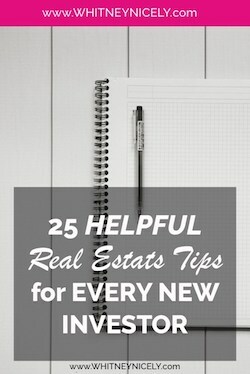 I talk to women all the time who get into their heads about what it will cost them if they become a real estate investor. They complain about the struggle and the fears that they have. Sometimes they even talk themselves out of moving forward with a plan. Ultimately, they are stuck, and they need a way out. This is where grit comes in. But, often, we need that little fire under our bottoms to provide the conditions for grit to come to life. Grit is not really a cushy little word. It reminds me of the little grains of sand that get stuck in all sorts of places and really causes some problems. But, in the case of our character and our biggest goals, it is the determination that we resolve ourselves to have during the hardest times of our lives. We turn the hard stuff into a tool with purpose, like sand is made into sandpaper. Grit is our inner drive to dig deep, get to work, and see our dreams come to life. The fact is that life can be hard. Work can be tough. Troubles will come, and you have to stay committed to the process. If you cut and run every time some difficulty comes up, you will never build wealth and become a millionaire. In fact, you won’t ever succeed at anything. 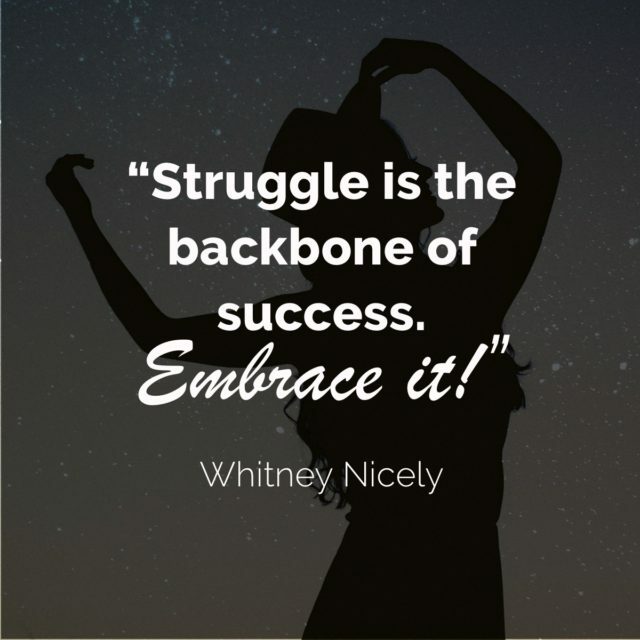 Struggle is the backbone of success. Embrace it! Without struggle, you cannot truly succeed. But, here’s the thing: you do not have to be stuck in the middle of your fears. Your struggles do not have to define who you are, or your life. They are simply pieces of your story that you have the choice to either face, or not. Struggle is not going anywhere. Embrace it, lean into it, and learn to love that uncomfortable feeling! You know what I have learned? When I feel the most uncomfortable, I have the chance to grow. Discomfort is a signal to my mind that I need to grow in an area. That feeling that makes me want to run is also the signal that I have a chance to learn something new and become even better as a person! I know how it can feel to learn something new. Those struggles are present in everyone I meet. The question is, what are you going to do with them? When fear shows it’s ugly face, will you back down and give up on your dreams? Or will you recognize the opportunity in front of you? If you really want to become a millionaire, you have to do the work. 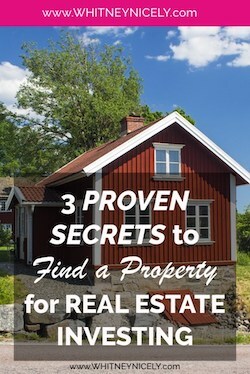 My focus is on real estate investing. That is where I have decided to focus my efforts. Not everyone wants to be an investor. Some people just save, save, save. Others invest in mutual funds, or stocks, or whatever. 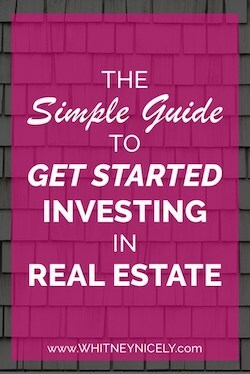 It honestly does not matter what you do (though I am partial to real estate investing and think every woman needs to become an investor) the process is still the same. You will need to decide how you want to break out of your struggle, and then DO IT. 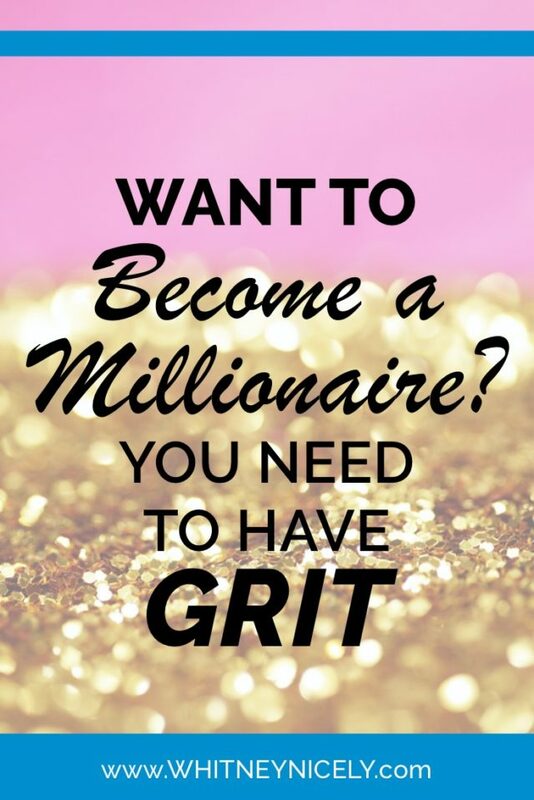 It is my greatest passion to see a woman become a millionaire from digging into their grit. I get to see this all the time now since I created First Deal Done Fast. Like I said, you need a plan to become a millionaire. It doesn’t just happen. So, now you can have one. I provide you with the step-by-step actions to literally go from broke to growing a thriving investing business as quickly as possible. But, you are the one who has to do the steps. I can talk until I’m blue in the face, but until you really decide to succeed, it is all just planning without action. Grit means taking ACTION to achieve the goals you set out to accomplish. This is what I teach my ladies in First Deal Done Fast; how to get to work and be able to quit their 9-to-5s. I cannot begin to explain how much of a thrill I get when I hear their success stories. Some of these ladies do bigger deals than I have ever done! It’s amazing, and it’s all because they made the decision. They decided that their goals were worth the struggle. Are you ready to make the same decision? Let’s get started! No matter what struggle comes, keep doing the work. Don’t give up! To become a millionaire, you have to make the decision and than continue to get to work even when it feels impossible. The fact is, it will feel that way! It is going to happen. So, choose now that when the struggle comes and you want to run, that you will instead tell your fears who’s boss. What do you think it takes to become a millionaire? Share your thoughts in the comments below.